If you are one of the employees at Marriott or other hotel, bar, or restaurant in Los Angeles, and you have been sexually harassed, discriminated against, or have become a victim of sexual assault, schedule a free consultation with our sexual harassment lawyer. Women working in hotels as bathroom cleaners are among the most sexually harassed women in the hospitality industry. Female bathroom cleaners have to put up with a tremendous amount of sexual harassment at work. Statistically speaking, women who clean restrooms in hotels and bars are more likely to be sexually harassed by inebriated men. This was the case with an Irvine Marriott housekeeper who has recently filed a lawsuit against one of the most prestigious hotels in the world. Our Los Angeles sexual harassment attorney from Rager Law Firm is going to review this case. In her sexual harassment lawsuit, Leticia Vallejo, a 51-year-old cancer survivor, alleges that a patron who appeared to be intoxicated groped her in Marriott hotel bar’s bathroom. According to the bathroom cleaner’s version outlined in the suit, the drunken man waved a $50 bill in front of her and said, “This is for you” as he tried to kiss her on the mouth. The alleged act of sexual harassment and attempted sexual assault took place in the summer of 2017. One and a half years later, the woman, who lives in Santa Ana, has filed a sexual harassment lawsuit against the Marriott hotel chain, alleging that her employers failed to do enough to prevent the harassment. 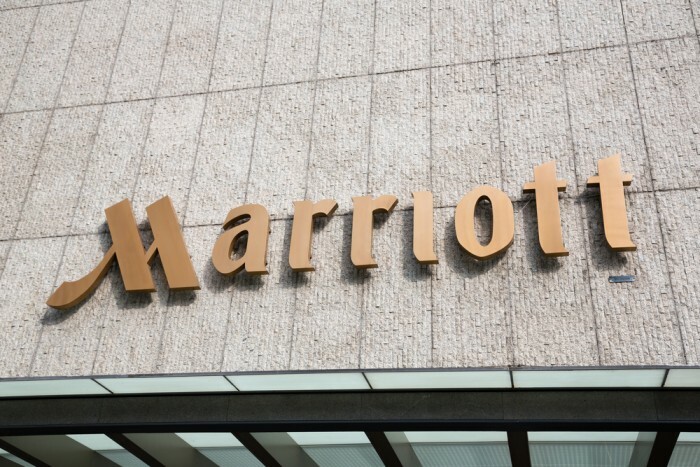 Mrs. Vallejo, who started working for Marriott in December 2000, alleges that her employers failed to prevent drunken men from sexually harassing and assaulting her as she cleaned bathrooms in the hotel. From 2000 to 2012, Mrs. Vallejo primarily worked as a server, hostess, and cashier. When the woman was diagnosed with breast cancer in 2012, she took a leave of absence to undergo chemotherapy. By the time she returned to work, Mrs. Vallejo had lost her hair, which, in turn, prompted her supervisors to treat her “differently,” the woman alleges in her lawsuit. After the chemotherapy, one of her managers allegedly told the woman that he did not want her “working in front of the house because of the way she looked,” and allegedly began “nitpicking” her duties, according to Mrs. Vallejo’s allegations. “Clearly, the woman was being discriminated against because of her medical condition, which is a violation of California’s discrimination law,” says our experienced sexual harassment attorney in Los Angeles. Prior to being assigned to work as a housekeeper and bathroom cleaner, the woman had worked as a “food runner” in Marriott’s restaurant. The woman was assigned night shifts and was primarily focused on cleaning the men’s rooms at the hotel. “The things Mrs. Vallejo had to see and go through are going to make you cringe in disgust,” warns our Los Angeles sexual harassment lawyer. Not only did the woman had to see how men relieved themselves in front of her, but also had to put up with inappropriate comments addressed to her, according to the lawsuit. As any employee experiencing sexual harassment in the workplace should, Mrs. Vallejo reported sexual harassment to her supervisors but this had little to no effect on distancing the female housekeeper from inebriated men while she cleaned men’s bathrooms in the hotel. Although Mrs. Vallejo was given a sign the size of an 8 1/2 by 11-inch piece of paper alerting patrons the bathroom is being cleaned, the housekeeper claims that the warning was ignored by many and that alleged sexual harassment against her continued. If you are one of the employees at Marriott or other hotel, bar, restaurant or any other establishment in Los Angeles or elsewhere in California, and you have been sexually harassed, discriminated against, or have become a victim of sexual assault, you may want to schedule a free consultation with our sexual harassment lawyer from Rager Law Firm. Call our offices at 310-527-6994.